Visit Parc Guell, UNESCO World Heritage site, stop at La Sagrada Familia Cathedral and marvel at Gaudi's most emblematic works like Casa Mila. Discover more about one of the greatest innovators of all time! Barcelona, the capital of Catalan Modernism, where Antoni Gaudì chose to express his art. Follow us and discover all the beauties of this incredible city. Our first stop will be at the Sagrada Familia Basilica, known as the "unfinished masterpiece". This is the last work of Gaudì, a kind of artistic last will. We will admire its stunning facades, full of details and weird geometrical structures. Our passionate and professional guide will tell you everything about the deep aesthetic theory behind this surreal cathedral. Then will be the time of Park Güell, the other one major work of Gaudì. Originally, this should be a city within the city: a residential area designed to ensure a different, communitarian lifestyle. A small utopia. But Guell and Gaudì did never manage to sell the housing project and they finished just the park. But what a park! It's a surreal garden where colorful sculptures and brilliant architectures merge together perfectly with the natural environment. We will explore the park and discover its complex symbolism, an oniric trip inside the mind of Antoni Gaudì. 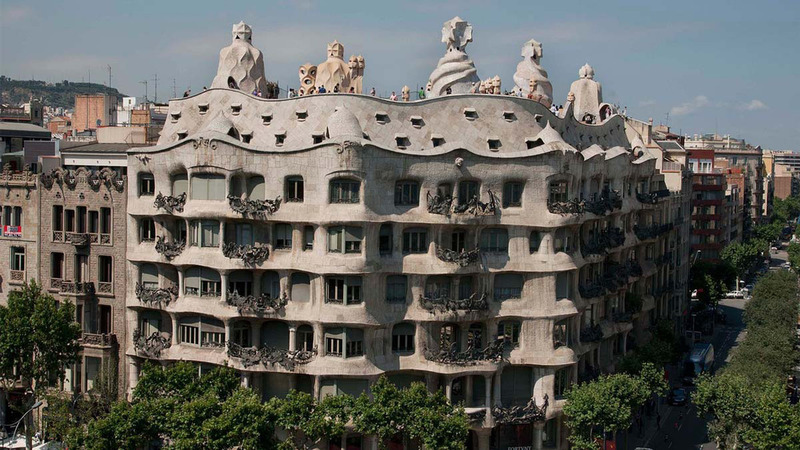 The last part of the tour will be dedicated to the famous apartment designed by Gaudì, places like Casa Mila, called "La Pedrera", and Casa Batillò. Barcelona is full of Gaudì bizarre and beautiful works: don't miss the chance to get to know his dreamlike aesthetic!